The home has a great significance for the individual people, probably mostly due to the fact that a home is a place you can feel safe, relaxed and you can create a home that reflects your personality. A home is where family and good friends meet over dinner, a cup of coffee or a chat. There is therefore a connection between a human being and a home which after a while become a settlement for human that we call Home. It doesn’t matter if it is a house, an apartment or where it is located in the world. The most important thing is that it is personal and intimate, a home cannot be bought it is build in time. In Dubai in the year 2002 the Crown Prince of Dubai Sheikh Mohammed Bin Rashid Al Maktoum, issued that Emirate citizens are not allowed to buy property in some specific area in Dubai. The crown prine announcement was welcomed by many residents of Dubai and overseas visitors. Lots of people love the remarkable infrastructure and opportunities offered by the dynamic city. And the full rights to residency were offered to the foreigners who buy a property in Dubai. The government of Dubai offer high quality standards in their properties, you do not find the same properties in other countries as they have in Dubai. Also homeowners are guaranteed permission to build a screened selection of highly competent and financially strong organizations, this is the reason that the new homeowner could expect in Dubai. 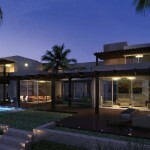 Dubai residential properties is still very young, the majority of the homes in Dubai are newly built. 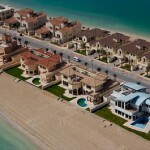 Why buy a home in Dubai? Buying a home is often a big financial decision and sometimes emotional decision in a person’s life. But whether you are buying for the first time or trading your old home to a new one or bigger one, it is still a very big decision to make. Therefore you have to make sure that you know what you want and where you want your new home’s location to be before you contact a real estate agent. Many people choose to buy a property in Dubai because they already live there or have experience the lifestyle in Dubai and they are already aware of the potential opportunities Dubai can offer, might be a small business on your own or a potential position in job market. Many family or individuals have been delighted by the opportunities that are being offered at their feet and have seen new hopes for their financial or emotional needs. If you live overseas, a business trip or a relaxing vacation in Dubai have stimulated the visitors interest, they might have found friends or relatives already live there and have shared the same experience as them, or you might have read a lot about Dubai that has made you realize what will be waiting for you in Dubai. Many visitors who have travelled to Dubai have discovered the quality of life in Dubai, some may seek comfort and convenient base for family holidays others recognize business and pure investment in Dubai. Dubai is definitely a world of choices and opportunities. Your next question may be how you can profit from the property market. Investing money and time is one of the many difficult issues any person can make; if property investment is what is in your mind then property investment is the right thing for you. If you have plans buying a property but do not want to live for good in Dubai yet, you have the opportunity to either rent it out to visitors in Dubai or for the foreign citizens in Dubai. Whatever your choices are, it always starts with your decision.